Our December update comes to you a bit later than our usual monthly posts, for all the usual practical reasons: holidays, vacations, and our staff retreat in early January. But also, because we’ve been reflecting on the past year, and planning for the year to come. You’ll soon hear about our initiatives for 2017, but for now— let’s dive into what we did in December. 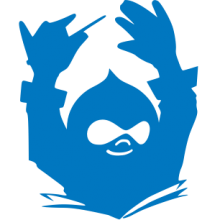 Drupal.org’s support for Composer has been in development since the beginning of last year. We released the public alpha of our composer endpoints at DrupalCon New Orleans, and then entered beta over the course of this past summer. After a period of feedback, bug fixes, and further refinement with the help of core and contrib developers we announced the stable release of Drupal.org’s composer support on December 21st. We’d like to thank the following community members for their help with this initiative: seldeak, webflo, timmillwood, dixon_, badjava, cweagans, tstoeckler, and mile23. We’d also like to thank Appnovation for sponsoring our initial Composer support work. One of the innovations of Drupal.org’s online community that we introduced about 2 years ago, is the process by which new users get confirmed by trusted users. As a user of Drupal.org, you know that when you see a new user with a ‘confirm’ button under their user icon, you can check their recent activity and help confirm for us that they’re a real user (not a bot or spammer who managed to slip through). 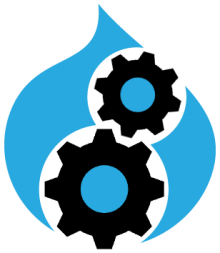 In November the Drupal 8 User Guide went live, so in December we prepared for the next community initiative on our roadmap – the Project Application Revamp. Over the course of the last several months we’ve been doing pre-work around this initiative to ensure that the appropriate signals about security advisory coverage and recommended releases are provided on project pages. This pre-work will help ensure that Drupal users still have good signals to project quality, even as we open up the creation of full projects.